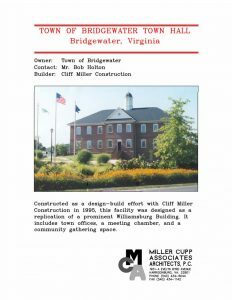 Town of Bridgewater Town Hall – Miller Cupp Associates, Architects, P.C. 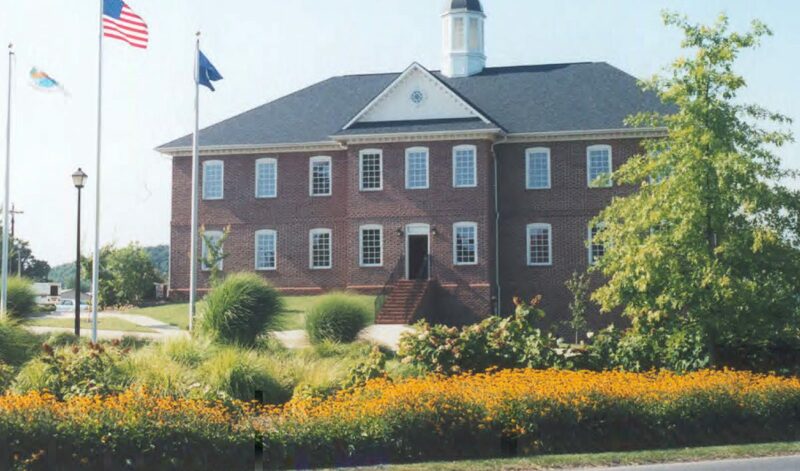 Constructed as a design-build effort with Cliff Miller Construction in 1995, this facility was designed as a replication of a prominent Williamsburg Building. It includes town offices, a meeting chamber, and a community gathering space.